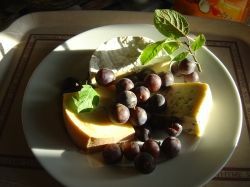 I'm an enthusastic cook and gardener and when we moved out into rural Limousin, I was delighted to embrace the rural lifestyle and local recipes. I have quite a collection of recipes now and the next step is to bring them together into one book. Part of the fun of living in the country is being able to grow your own organic fruit and vegetables, to buy locally produced food and to cook seasonally, so having thought long and hard about how to arrange my new 'book', I've decided on seasons first and foremost. Of course we have freezers and supermarkets here like anywhere else and many dishes lend themselves to all year cooking with seasonal options, so I've created a section for them too on the first page. Sometimes I write about growing food, food in general, or the history of food, so these articles are also included. The beauty of an on line book is that it is easy to add to it as the fancy takes you. This online cookery book will, hopefully, grow and grow. And for still more Cookbooks Read more about our lives and painting holidays, our Bed and Breakfast, and our self-catering holiday cottage 1001 Cookbooks to Find the Best Recipes My Recipe book is the 101th! In the following pages you'll find our seasonal recipes for the spring, summer, autumn and winter along with a section on food and gardening topics, but many recipes are all-the-year-round treats. 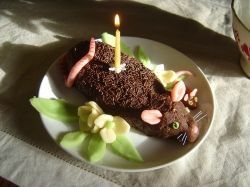 Fat Rat Birthday or Halloween Cake Recipe A quick and easy no-bake cake. of course you could adapt the shape - how about a Fat Cat Cake? 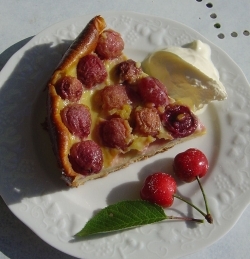 Stale Bread Recipes A Collection of delicious recipes to use up your old bread. Make the most of fresh, locally grown, seasonal food. This is the way to go in the future. Support local producers, cut down travel time, minimize the carbon footprint of your food by cooking with fruit and vegetables that are in season. 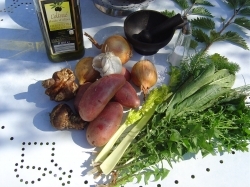 Seasonal cooking is the way of the future as food costs soar and many people have to cut back on expensive imported food. 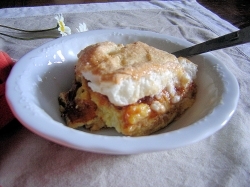 This is my husband's version of the dessert Irmik Helvasi that he remembers so fondly from his childhood in Turkey andone that he often makes for our family - we love it! A great favourite with our friends and our Bed and Breakfast guests, we're often asked to bring it along to other people's dinners and parties. Based on semolina, (incredibly! 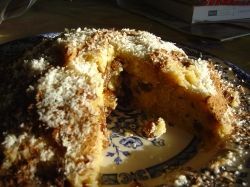 ), it's not expensive and is one of those store cupboard puddings that you can make at the drop of a hat. 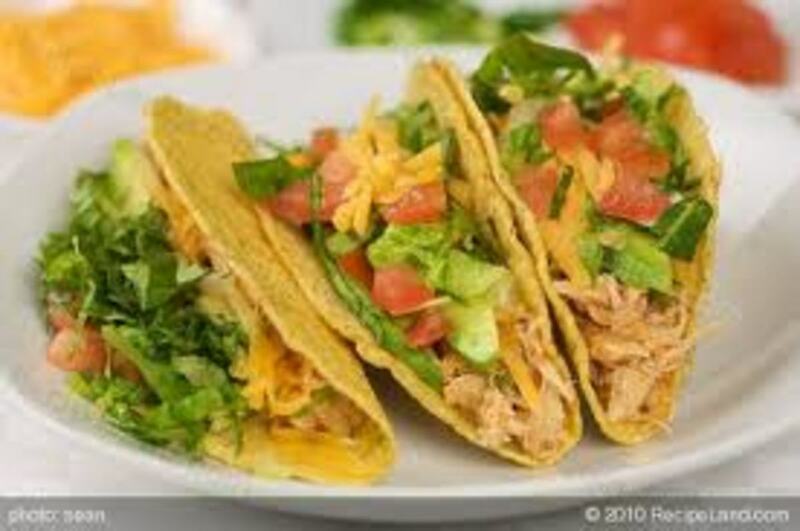 Like all my recipes, it's quick and easy to make (I guess about ten minutes), foolproof, uses only a few simple ingredients and tastes delicious. 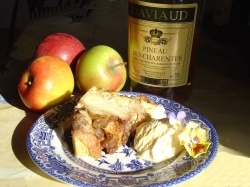 Having lived in our Bed and Breakfast in Limousin, France for seven years now, I'm only too aware of the pride the French have in their their cuisine - sometimes to the exclusion of all other culinary traditions, but even they concede that the British are great when it comes to making puddings. 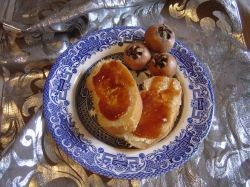 I think that the old-fashioned puds are often amongst the best and this is definately one of The Great British Puddings! This is a year round pudding, but I've put it in winter because it is one of those great comfort foods, lovely served hot or cold. 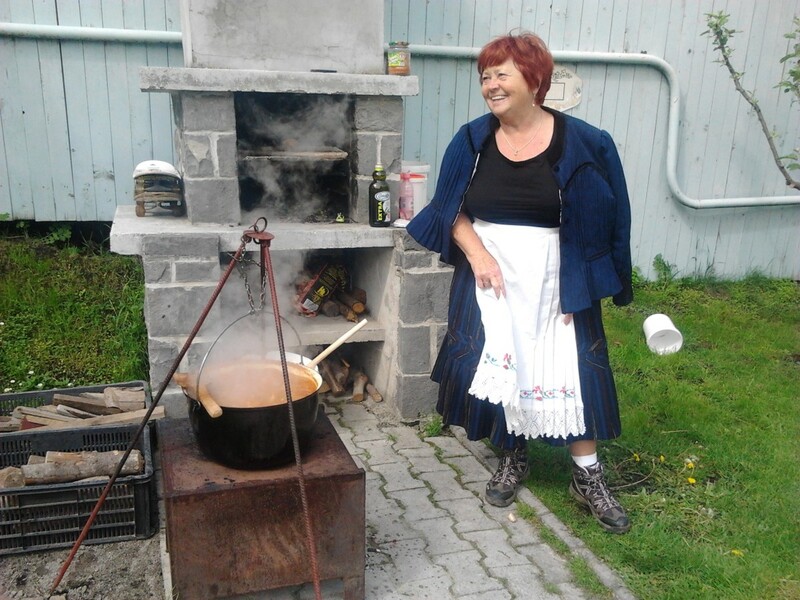 Queen of Puddings is not only easy, but delicous, economical and a weapon in the fight against waste. What more could you want? This is no melt-in-the-mouth, fluffy, temperamental cake! 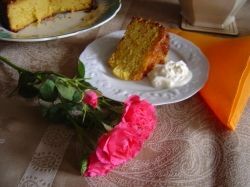 This is a moist, satisfying cake with a deliciously fresh orange tang. 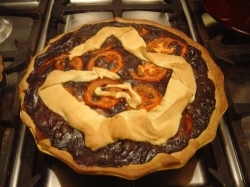 It's light, fat free and gluten free - perfect for people with special dietary requirements. I make this cake because I love it, but also we do occasionally have guests at Les Trois Chenes who can't tolerate gluten or who would like a low fat meal and so this cake makes a perfect dessert for those occasions. Ditch the diet! The real secret of good health is that a little of what you fancy does you good, and are you going to fancy this gorgeous, gooey French chocolate cake! Although it's ridiculously easy and totally reliable, it is a treat cake and ideal for special occasions or surprise guests. Don't you think it's a waste to pull out all those weeds and to put them at best onto the compost heap and at worst into the bin to add to all that trash and landfill that is so damaging? The waste is even worse when you know that these greens are free, nutritious, slimming and delicious. Who wouldn't want to make them into a great, tasty soup to add to your weight-loss diet menu? 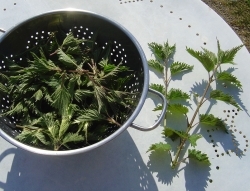 Nettles are weeds and grow plentifully, so you'll have no trouble gathering your free greens for this nettle soup. 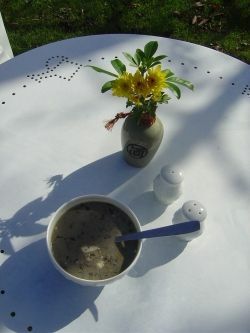 Poor people have long used nettles in cooking, and it's a traditional soup in the Limousin region of France. Highly nutritious, especially high in folic acid, they make a tasty, dark green soup or green vegetable. You need a pair of washing up gloves to gather them without being stung. I'm going to concentrate on some egg and Easter recipes this year, so watch this space! It was early June when my friend Sue came bursting into my kitchen with her arms full of what we call acacia flowers, (they are really from the Robinia family though) and I soon found out that they were not for decoration, but for eating! 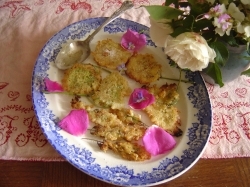 She'd been for lunch with a lady who had fried the flower racemes of the Black Locust tree in batter and produced them as an unusual nibble or starter dish. 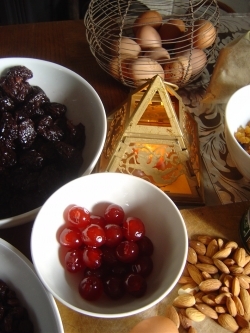 So we set to work on the flowers and made them into lovely, perfumed snacks. It also works well with Elderflower blossoms as well. Many flowers are edible, although few are eaten now. 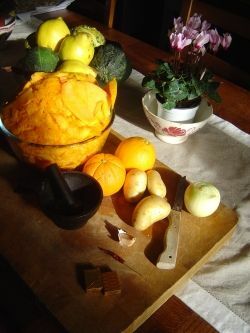 You might use nasturiums in a salad, or have heard of sugared violets, but there are many other flowers that can be eaten and they make pretty, edible additions to your table. 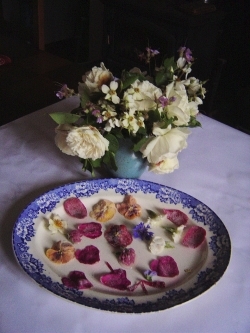 Sugared flowers are easy to make, if a little fiddly, and can be kept for some time before use. They are super for wedding cake decorations and decorations for desserts, puddings and salads. It's the end of October, Halloween, All Saints Day, (or Toussaint) and the weather here in France is warm and wet - perfect for mushrooms! We collect kilos of them in a good year and make them into soup. Whether you're saving the world or saving your money you will just adore this frugal but delicious bread pudding, (or, as we used to call it bread and butter pudding). This is one of the best know and most traditional of stale bread recipes. Transform your old bread into a delicious dessert with this budget-friendly frugal recipe. All you need in addition to your stale bread is a couple of eggs, milk, butter, dried fruit, a pinch of spice and a bit of sugar. Save money and stop waste with this budget-friendly frugal recipe. Medlars are ripe in November and make a wonderful spread. 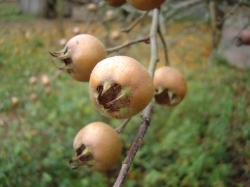 Medlars are trees bearing round, golden fruits are very decorative with their five large, star-shaped caylyx at the end. In recent years, unfortunately, they seem to have gone our of fashion, in Britain at least, however I'm pleased that now they're enjoying a well deserved revival. The trees are small, attractively shaped and bear beautiful creamy white flowers. They are tough,hardy, healthy and produce a heavy crop of small, golden fruits that are harvested when most other fruits have finished. What could be more deserving of a place in your garden and kitchen? Mushrooms from the Wild All about collecting funghi from the wild to eat. What is a Tajine Pot? Tajine v Casserole Cooking Pots Do you really need to buy a Tajine Pot? Bee-keeping for beginners: Why Keep Bees? 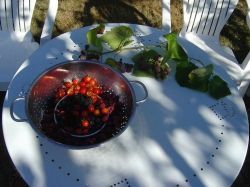 Autumn is famously 'the season of mist and mellow fruitfulness', and here are a few observations on the Les Trois Chenes garden in this season. Lots of nice pictures. An excellent, concise, cheap, easy to use book with first class information and apparently, at one time at least, it was the world's best selling booK. This is a manual and not a coffee table book. If you buy one vegetable gardening book, this is it! Cheap, easy, informative, quick to use. A real garden pal. 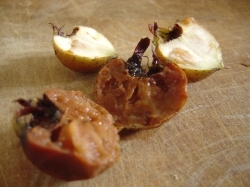 Medlars are an unusual fruit and a small, pretty tree that fruits in November. 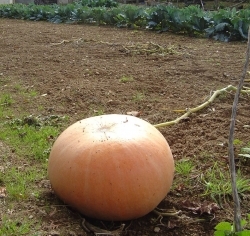 Why wouldn't you want to grow one in your garden? I Hope This Lens Will Blossom Over Time! Thank you for dropping by and I do hope you've enjoyed this lens. If you try any of the recipes I'ld love to know what you think, or let me know your favourite recipes. Please leave any comments in the guest book below. All lens masters. Join our fabulous, supportive group on this facebook page: Post Your Squidoo Lenses Here Post links, network and make friends. So many recipes, I don't know where to being! Thank you for this lovely lens. I will be referring to it in the future, I am sure! @Virginia Allain: Thanks for these kind words, vallain. I'd love to do a make-over - or how about a life-swap? A change is as good as a rest! I envy your life. Lovely surroundings, close to nature and such wonderful food you prepare. I need you to come give my life a make-over. @Brandi Bush: Please do come and see us mammabush! Limousin is lovely, especially now in the spring! @joykennel: Thank you for these kind words of encouragement, Joy. Always nice to have a few achievable recipes to hand. @sukkran trichy: Do let me know how they work out, sukkran. @TheArtLibrarian: Thanks for visiting TheArtLibrarian. 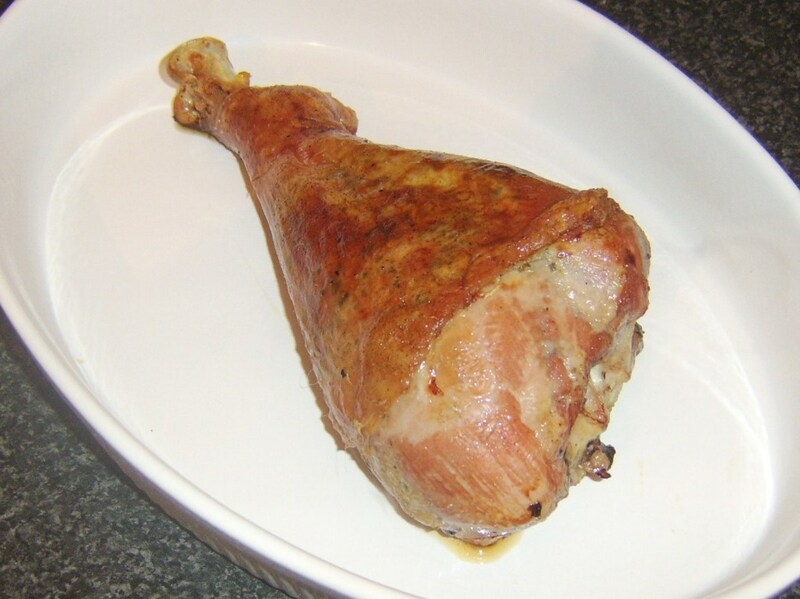 Nice photos and recipes -- thanks! @TonyPayne: Poddys, thanks for the blessing! I cook at random but it's nice to learn the local recipes as I always find that the local food and ingrediants are the easiest to produce in a given location. @BrianRS: Hi Brian. Yes, they make great cakes here too. My neighbour gave me a pear cake which was heavenly. I just don't have time to write them all up! As for our pud shapes, I suppose little and not very often is the trick. Get out on some nice, brisk walks in the wonderful French countryside. @JoshK47: Thank you for leaving a message, SaintFrantic and JoshK47. Pleased that you enjoyed them. @Paul Ward: Many thanks Paul. @anonymous: Thanks your kind words, SereneSea. That's the atmosphere I'd like to provide here. Excellent recipes, now I am fancying some of these. I think it's great what you have taken and introduced into the Limousin area. Nicely done, blessed. 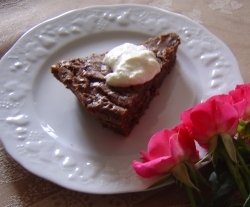 Yummy and tasty recipes, that just reminds me the warm hospitality of country and farmhouse. Love country living and the simplicity of country folks. @Paul Ward: Many thanks for dropping by Paul. Your support is much appreciated. Some excellent recipes - nicely done lens. @MariaMontgomery: Many thanks Mia-Mia for your kind words. Do let me know if they work out for you. This is a great lens. I can't wait to try some of your recipes, and add them to mine. I have bookmarked this one.